Is anyone not aware of this stuff yet? 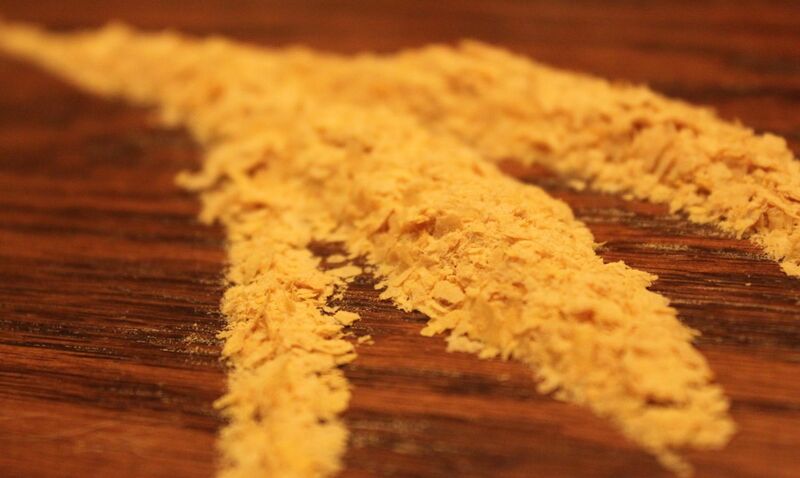 Chocked full of B-vitamin, nutritional yeast is a cheap, vegan and a cheesy-tasting yummifier that can be tossed around with fresh-popped popcorn, on steamed brocolli, edamame, tofu scramble, wild rice or just over buttered toast. And there is WAY more you can do with it as an ingredient in recipes. Ellwood and Good Food Grocery sell it in bulk, or in some groc stores you can find it packaged from Bragg. Here’s more concise info on it, including more recipes. Leftover Madness! Sweet Potato Pancakes and a Storage Solution. Our boys love this stuff. they ask for it on everything. Noodles with butter, salt and nut yeast is always an easy lunch or dinner that we know will get eaten. On popcorn, it is pretty amazing and completely addictive. GET SOME! This stuff had been a staple in my life for 15 years. If anyone was some recipes or ideas let me know!